I was thrilled to discover that the useful photo editor iPad app, PicsArt, could now be used in conjunction with Pencil, the stylus made by the same people who made Paper by 53. (I told you about Paper by 53 here and here, and shared some updates made by the developer here.) Users can now draw over the top of a picture in PicsArt, using the stylus, Pencil. 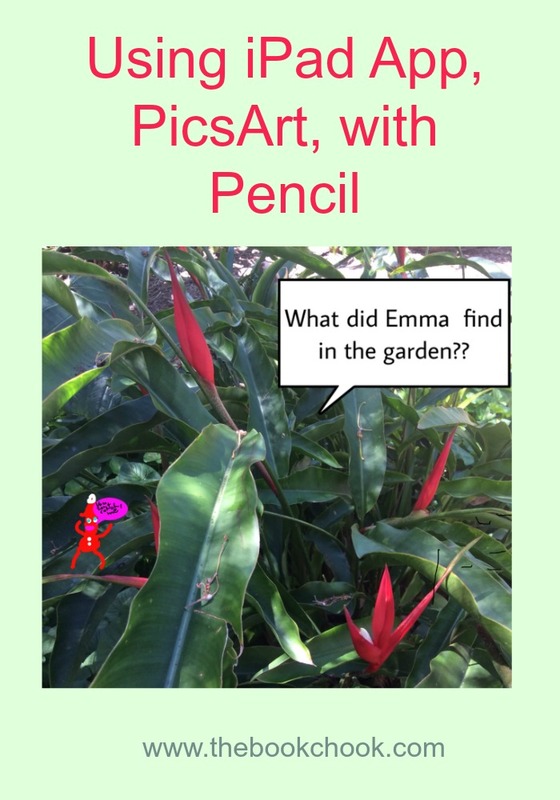 * Kids could use the Camera app to snap a scene and then use Pencil to add the characters and details they need. * Younger children might use Pencil to write labels explaining their knowledge based around an image. * Students could photograph work they have completed and add a brief summary or explanation with Pencil. * Coming up with prompts for a story is in itself a creative activity, and leads to further creations for partners or groups. * Older kids could use Pencil to edit details in their photographs or drawings. For my sample image above, I found a photo in the camera roll and used Pencil to “draw” an elf over the top. I appreciated the ability to pinch out to zoom as otherwise I could not get fine enough detail in my drawing due to the thickness of the stylus. I added a speech bubble by using that brush and stopping at only one. My “writing” was clumsy, even with a zoom, and kids might prefer to use a text tool instead. The PicsArt website offers tutorials and art projects for those who are interested in creating with the app. You might also like to read Creative Thinking for Kids, check out one of my Creative Prompts for Kids series, or explore via the Creating button in the right sidebar.